This is a basic step by step instruction on how to prepare your media for the slideshow. You are not required to follow these steps exactly but as close as possible to make it easier for us. We can give you a sample viewing of the slideshow before your event. This requires us to have the media in our hands 2 weeks before your event. 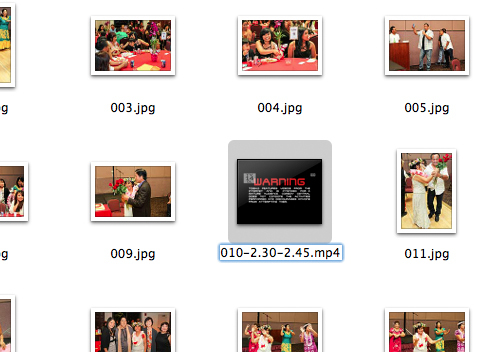 If you do not require a sample viewing of the slideshow, we will need the photos 1 week before the event. Because we have to prepare for other events during the weekend, there will be a $100 late charge for photos submitted 5 days or less before your event! No preview will be available if submitting photos 5 days or less. We are extremely busy a few days before an event because preparations are being made. Having late submissions will hold us back in preparing for these events. If you don’t have the photos saved on a computer, device, or disc, you will need to scan the photos. If you don’t have a scanner, you can go to any FedexOffice, Sam’s Club, Costco, Walmart, Longs, or any other location that provides a photo kiosk to have your photos saved onto a disc. They usually have a kiosk which looks similar to the ones shown below. They normally charge a flat fee for saving the images to the disc regardless of how many photos you scan. We are capable of scanning them for you but will incur a .75 cent charge per photo scanned. If you plan to scan the photos yourself, please ensure that the file is saved as a .jpg. The normal default setting when scanning a photo is fine for slideshows. Just be sure that the scanning mode is set to “photo”. We will need the photos 2 weeks before the event if we are scanning them for you. In the example above, the video is #10 on the slideshow. The video between 2 minutes 30 seconds and 2 minutes 45 seconds will be shown on the slideshow. We suggest no more than 150 photos for the slideshow. We are capable of adding more than 150 photos but that will create a shorter viewing time for your guests to view each photo. Also keep in mind that adding videos to your slideshow may make the total time of the slideshow longer. We recommend a slideshow between 10-15 minutes. This last step requires your music selection and short message for the end of the slideshow. We suggest a list of 4-6 songs. You may organize it in the order you want it played during the slideshow. Please note that we may not be able to play the entire song on the slideshow. It may be cut short in the middle of the song. You do not have to send us the music file. A song list is fine. We will be the ones obtaining the actual music file. You can view our list of songs that we have used on previous slideshows that we have created. The songs listed may be used for a variety of occasions so we suggest a song that compliments the slideshow and the images within the slideshow. Click here to view a list of sample songs.